Inspired by What are good learning resources for a LaTeX beginner?, I thought that it might be useful to collect a list of the many brilliant introductory LaTeX books and tutorials written in languages other than English. I think that such a list could be helpful to many new users. And who would be better to collect such a list than the TEX.SE-community? Please contribute to make the list as complete as possible. Please add your resources to this answer! Bulgarian, Chinese, Czech, Dutch, English, Finnish, French, German, Italian, Japanese, Korean, Mongolian, Persian, Polish, Portuguese, Brazilian Portuguese, Russian, Slovak, Slovenian, Spanish, Thai, Turkish, Ukrainian and Vietnamese. "Ne úplně nejkratší úvod do formátu LaTeX2ε", Czech version of "A Short Introduction to LaTeX2ε": See above in section "Multilingual". "De niet zo korte inleiding tot LaTeX2ε", Dutch version of "A Short Introduction to LaTeX2ε": See above in section "Multilingual". "Une courte (?) introduction à LaTeX2ε", French version of "A Short Introduction to LaTeX2ε": See above in section "Multilingual". (Xe)LaTeX appliqué aux sciences humaines (2012, 1ers edition) by Maïeul Rouquette (@maïeul) for humanities. (Creative Commons, available online and buyable in print). LaTeX2ε-Kurzbeschrei­bung (2013) by Marco Daniel, Patrick "topskip" Gundlach, Walter Schmidt, Jörg Knappen, Hubert Partl and Irene Hyna, extended Ger­man ver­sion of "A Short In­tro­duc­tion to LaTeX2ε": See above in section "Multilingual". A concise and well-thought-out introduction to LaTeX. The 4th edition also covers biblatex. Verfassen Wissenschaftlicher Texte mit LaTeX - Pep et al. Toolbox Workshop (2015–) by PeP et al e. V. 1 week introduction to modern LaTeX for physics students using lualatex. Focussing on a modern aproach and best practices. Refreshed classic, not in all parts up to date, though! LaTeX-Einsteiger-Kurs (Tutorial) für Ingenieure (2013) by Dr. Manuel Kuehner Focus on engineering, designed as a one-day course (~6h), with exercises. Designed as a two-day course, with exercises. Based on a lecture on LaTeX with many examples and exercises. Available as "LUIS-Handbuch" for students at 180 public universities in Germany, Austria, and Switzerland. A complete LaTeX course with special focus on mathematical typesetting. Very informative annexes with a character finder. LaTeX@TU Graz (2017+) Online Pages to create a first LaTeX-document step by step. LaTeX-Talk von Malte Schmitz und Johannes Thorn anlässlich der MetaNook der Uni Lübeck. 5-teiliger Einsteigerkurs mit Videos, Präsentationsfolien, LaTeX-Beispiele zum selber probieren. Geeignet für erste Schritte in LaTeX, KOMA-Script und TikZ. "Una (mica tanto) breve introduzione a LaTeX2ε", Italian version of "A Short Introduction to LaTeX2ε": See above in section "Multilingual". A little bit old, and doesn't actually mention, e.g., pdflatex for PDF output. "Не очень краткое введение в LaTeX2ε", Russian version of "A Short Introduction to LaTeX2ε": See above in section "Multilingual". Predrag Janičić, Goran Nenadić: Osnovi LaTeX-a, VEDES, Beograd, 1995. ("Fundamentals of LaTeX"); in Serbian only. "La introducción no-tan-corta a LaTeX2ε", Spanish version of "A Short Introduction to LaTeX2ε": See above in section "Multilingual". Not the answer you're looking for? 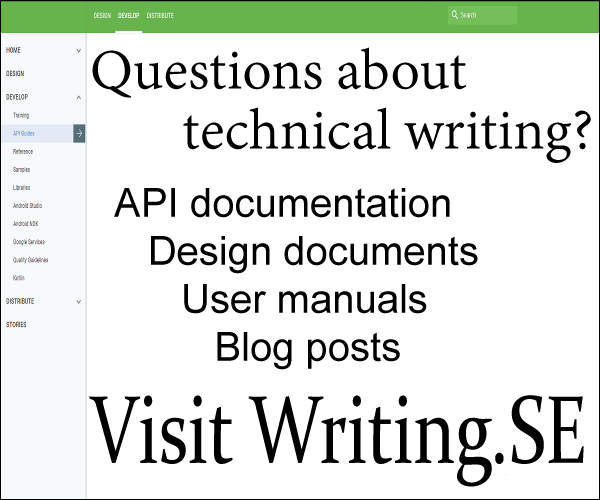 Browse other questions tagged languages books tutorials learning or ask your own question. What are good learning resources for a LaTeX beginner? Is Knuth's *The TeXBook* complete? How do I change the basic font into 'Corbel'? How to implement the Russian typographical traditions? How to learn LaTeX in the right way? why there is no direct typesetting in LaTeX for other than english language? Which TeX should one start out with? What are good resources for a beginner, non-computer genius type of person, to learn Plain TeX?